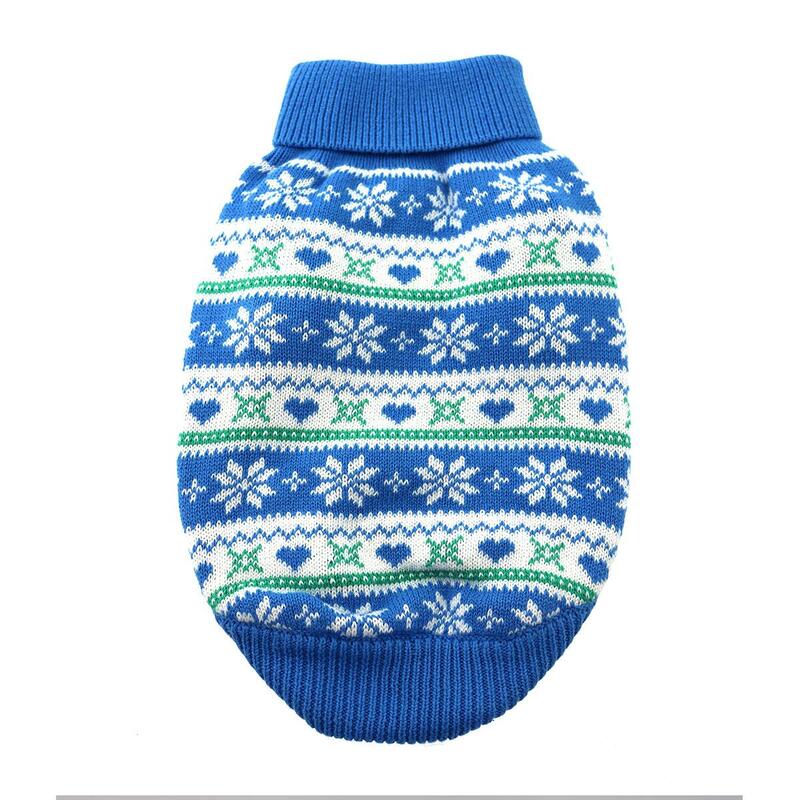 Fall and winter will be your pup's favorite seasons when they get to wear this comfortable Combed Cotton Snowflakes and Hearts Dog Sweater by Doggie Design in Blue! Looking for a classic style that's warm and cozy? 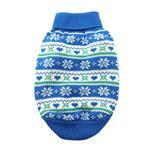 If this cheery blue Snowflake and Hearts Dog Sweater doesn’t make you want to cuddle up with your pup by the fire this Fall season, we aren’t sure what would. Our Snowflake and Hearts Sweaters are perfect for those brisk fall days or cold winter nights and with two stylish colors to choose from and a wide range of sizes, you can outfit the whole pack! Made of 100% combed cotton. Machine wash on a gentle cycle in cold water. Lay flat to dry. 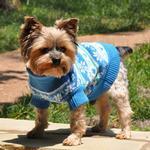 Our 100% combed cotton snowflake dog sweaters are available in blue and pink and perfect for the entire fall and winter season. These warm and thick sweaters are available in sizes XXS to 3XL to fit most sizes! 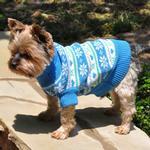 Snowflake and Hearts Dog Sweater by Doggie Design - Blue Customer Photos - Send us your photo! Leroy loves his new sweater! It fits him perfectly and it's of really good quality. Sleeves and turtleneck are an extra nice bonus. Pinto loves her blue sweaty! Fits her so well and keeps her chest warm. Nice warm sweater for my dog, true to size. I highly recommend if anyone is contemplating purchasing this item.